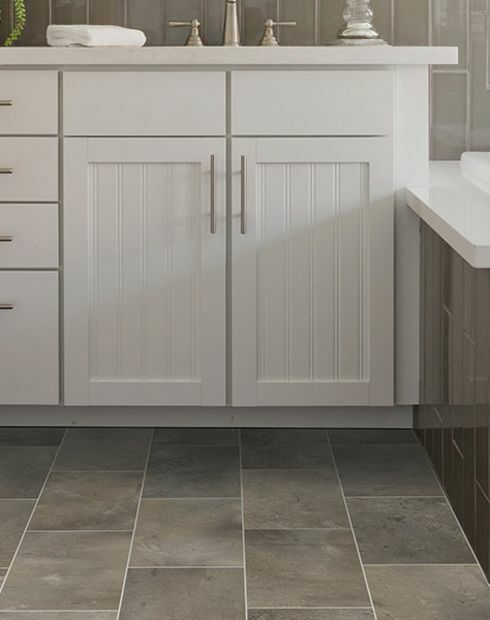 For an alternative to the look of ceramic tile or natural stone, consider luxury vinyl tile. 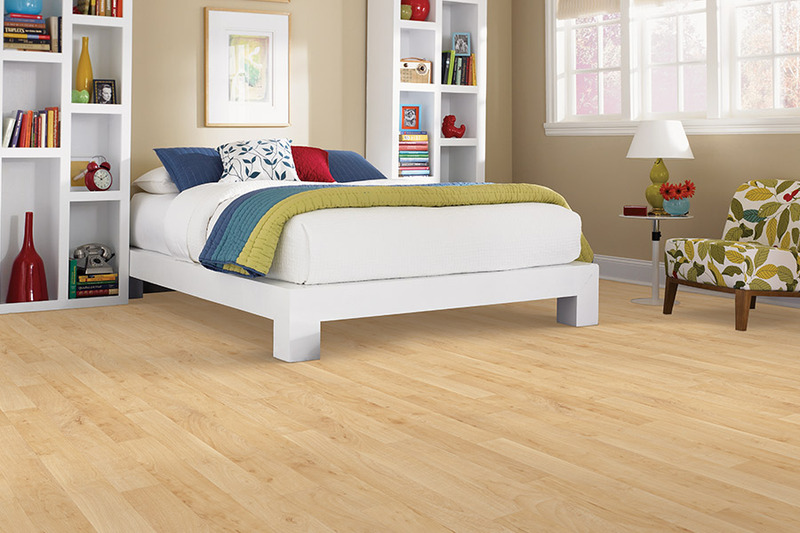 LVT is comfortable underfoot, low-maintenance, and easy on the budget. 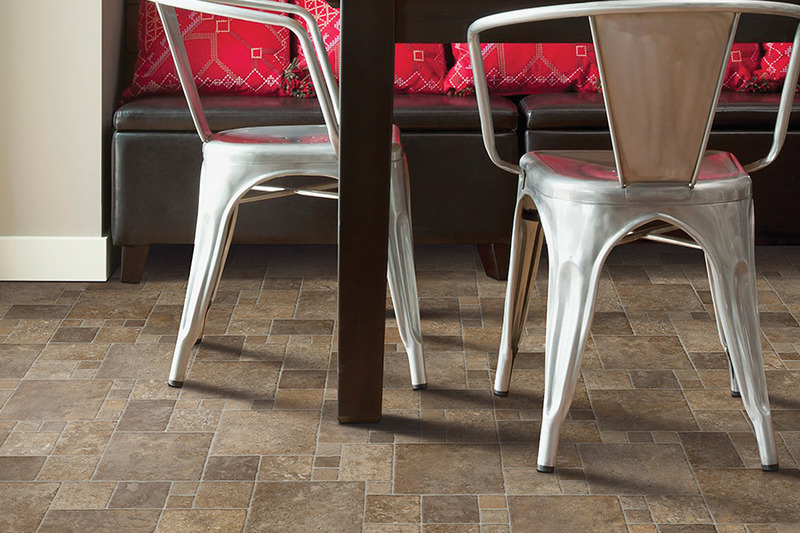 Antimicrobial and water-resistant luxury vinyl tile is available in hundreds of designs, patterns, and colors. LVT is relatively straightforward to install. Do-it-yourselfers can likely handle the task. 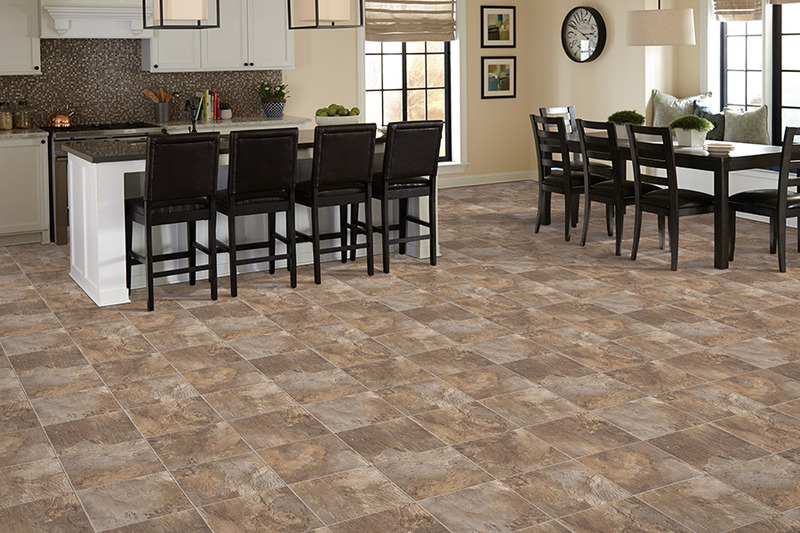 Luxury vinyl tile is warmer to the touch than ceramic tile, which is a bonus on winter mornings. LVT has a cushion feel that reduces fatigue while standing. Objects dropped on luxury vinyl are less likely to break than on other types of flooring. Most LVT manufacturers offer unique features such as antimicrobial properties, durability, cushioning, and stain protection. 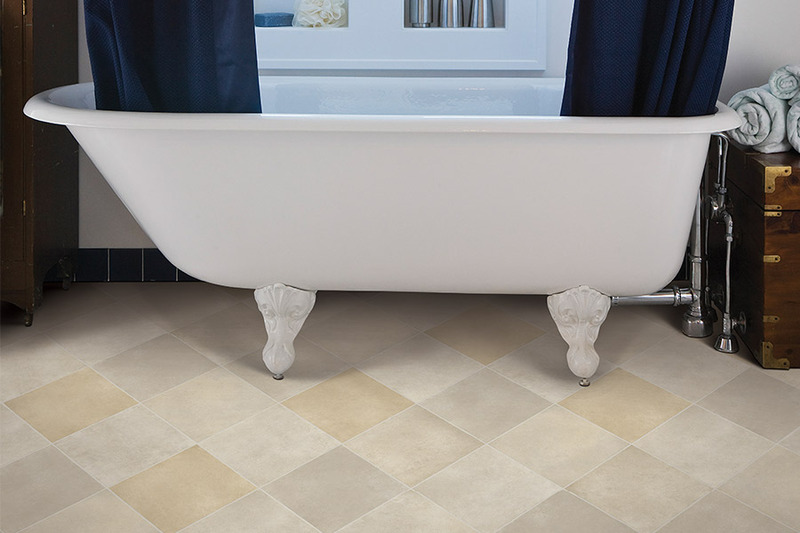 The luxury vinyl tile option mimics ceramic tile and stone. Nearly any color is available. Sizes range from formats that are small to large. A pattern can be designed for a custom look. Some LVT is grouted for a look that is true-to-life. 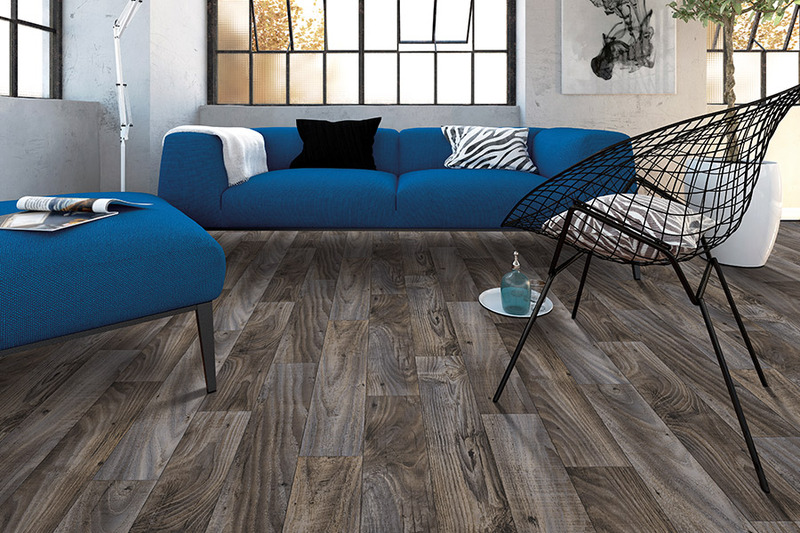 Style –The LVT of today mimics everything from hand-scraped hardwood to rustic stone that is surprisingly realistic. Pattern –LVT comes in various design options. It can be used on as a vivid focal point or a quiet backdrop. 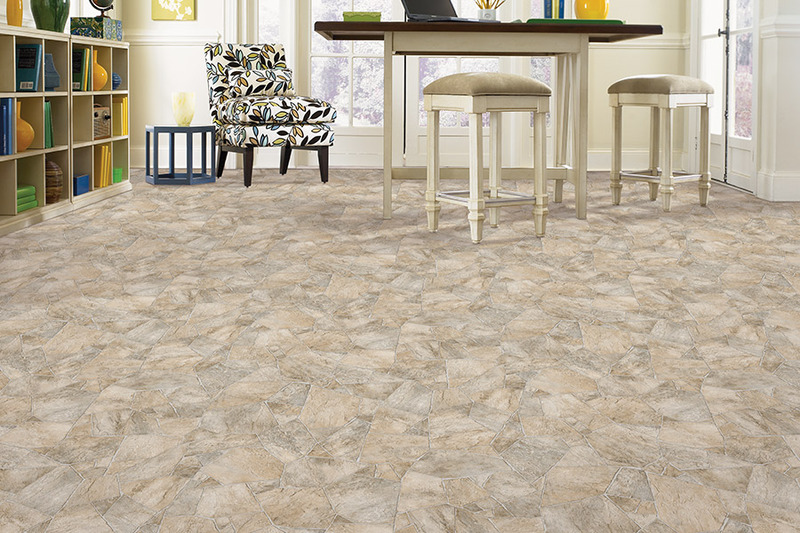 Finish –Luxury vinyl tile is available in glossy, matte, and low-gloss finishes. Durability -LVT is extremely tough. It can withstand pet nails, traffic, and spills better than many surfaces. Cleaning -Luxury vinyl tile is a breeze when it comes to cleaning. Vacuum or sweep regularly and damp mop once each week. You may want to strip and repolish glossy floors occasionally. The surface should not be buffed or waxed. Underlay –Properly prepped, LVT can be installed over nearly any clean, dry, and flat surface. The recommended underlayment is plywood. Personal Touch Flooring understands the materials and techniques needed for a perfect luxury vinyl tile installation. We are the first choice of clients from Poughkeepsie, Pleasant Valley, Lagrangeville, Hyde Park, and Hopewell Junction when choosing professional LVT installation. We have been referred to by satisfied customers for nearly 30 years. Schedule a personal consultation in our Poughkeepsie, NY showroom to learn about the luxury vinyl tile we offer.